Yikes. Satanic 1970s wallpaper. This is among the strangest things I’ve ever seen. I’m not sure I could keep this in my house, it’s so creepy. But yay on reader Suzanne who will be keeping this … invaluable … original piece of her house. 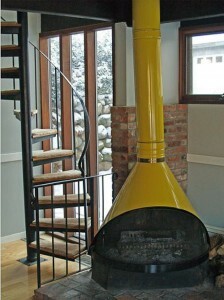 Also see her fab foyer and the school bus yellow vintage Malm Preway fireplace. 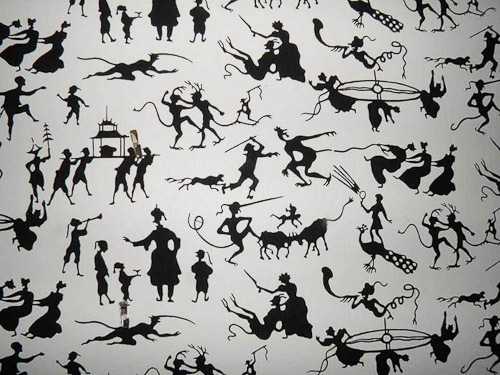 Update: This was subsequently identified at Inez Croom wallpaper. Inez Croom document designs are still in production today. Read this Fab follow-up story! 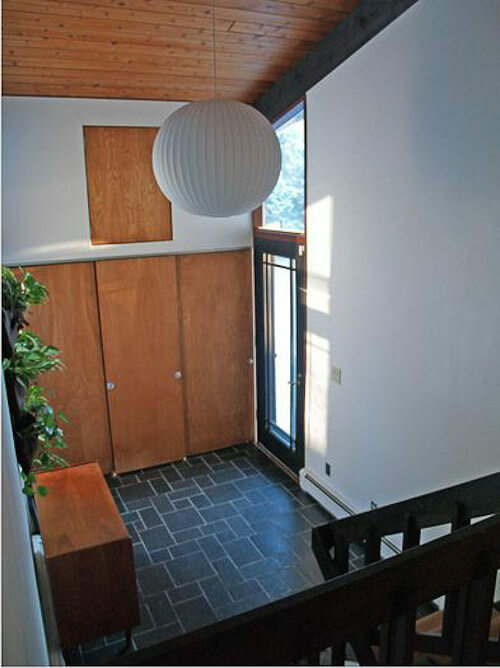 My husband & I bought a wonderful 1973 Deck House. 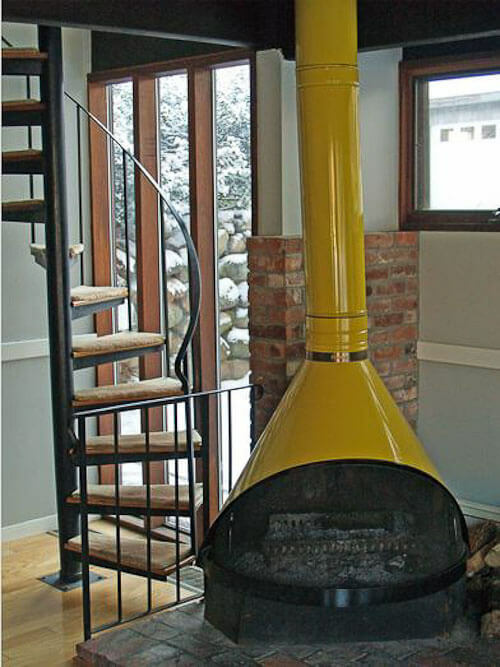 Lots of 70’s goodness – spiral staircase, scroll iron railings, Malm fireplace… we love it. The entire house was originally painted kind of an adobe color except for the downstairs bathroom. Thank you so much for taking a look at these. I would love to know if anyone has seen this before or knows the history. 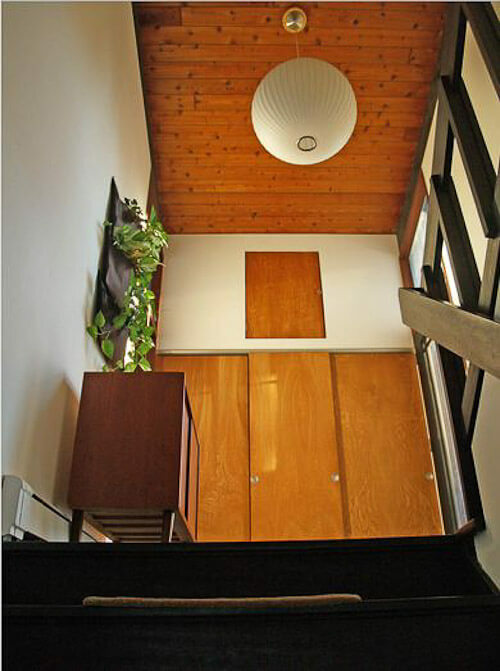 I also added some random shots of the interior of the house. I’d love for you to look at it. Thank you & thank you for this website, I LOVE it!!!!! 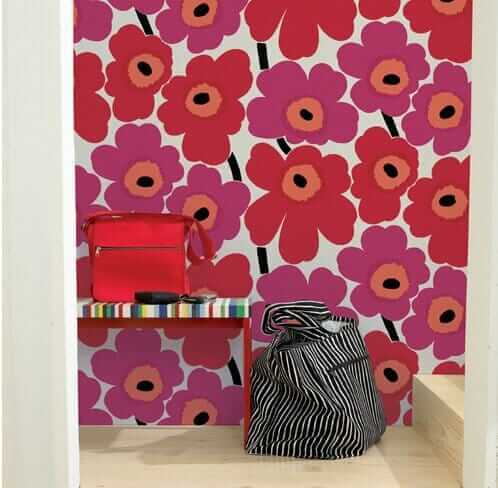 It’s ‘Devil Paper’ from Waterhouse Wallcoverings. Seems like this is a reproduction of a very old design — pre-1890. I’ve emailed for more information, including price. Thank you, Josh, BIG GOLD STAR! Thank YOU, Suzanne. Great house, lucky you. 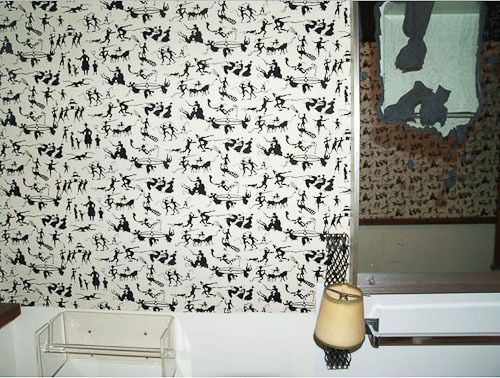 Love the “Devils Wallpaper,” it is based on “Mid Summer Night’s Dream” ~Very Cool. OOps! Just read the above… lol. It sure looks like MSND. 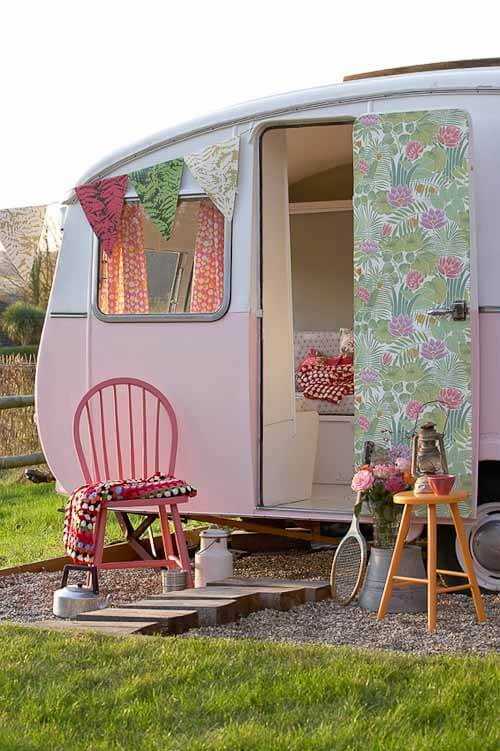 Great INFO on this print… WOW!